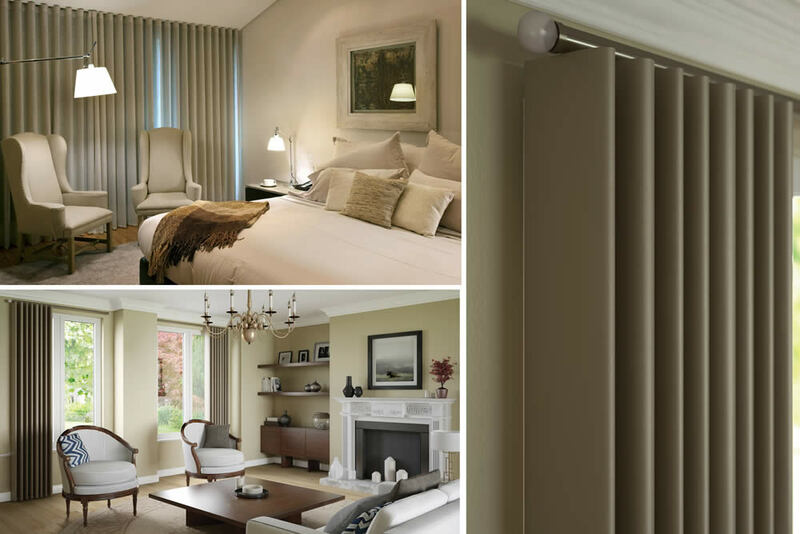 Wave™ is a trademarked style of curtain heading designed by the leading window system specialists, Silent Gliss. This stylish heading creates fluid waves of fabric that appear to float below your desired track or pole, creating a gravitational illusion that’s sure to impress. Wave has become popular in ultra-modern settings, where traditional headings would not be in keeping. 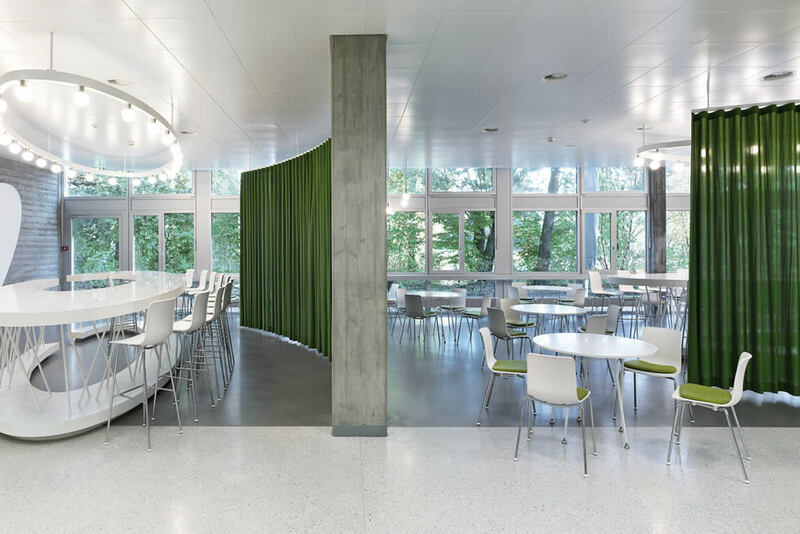 Wave headings enhance the look of light weight, floaty fabrics such as voiles and silks, allowing you to add softness to the clean lines of contemporary architecture that can sometimes appear harsh. In contrast to the above, Wave™ also looks great in traditional settings. It’s not all about sheers as fabrics can be suitably interlined, making this heading style way more versatile than you think. 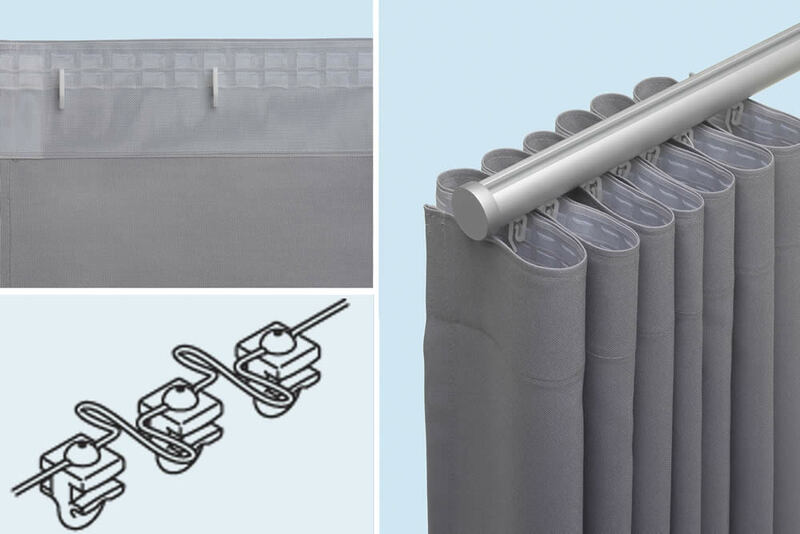 When stacked back, Wave™ curtains are also a great space-saver, parking themselves away neatly in a smart and uniform manner. Maximising space around your window allows more light in, making your windows seem larger and really opening your room up. This is great news if you don’t have the luxury of a spacious open plan apartment, need to create some extra space or just want to appreciate the view through a large window or patio doors. Spacing Your Curtain Hooks: The spacing of curtain hooks in the many pockets wave tape offers can be calculated easily here; using the Silent Gliss calculator. This calculation is key to achieving your desired wave effect. The number of empty pockets you leave between hooks will change depth of your wave. Gliders: Your perfectly spaced hooks will now be carried along your track/pole using special wave gliders that are connected to each other with cord. 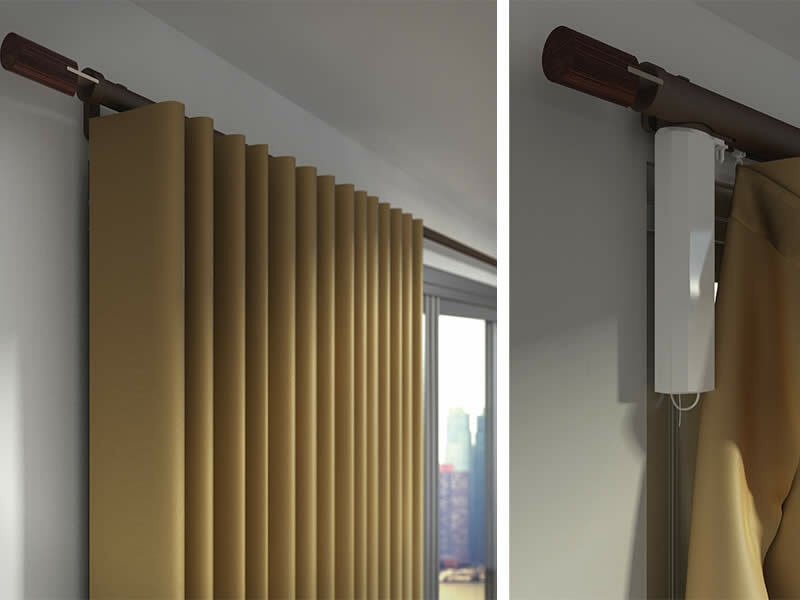 These corded gliders are designed to keep uniform spacing between the waves when the curtains are drawn. Once you have worked out your spacing this effortless design of heading is super easy to hang, minimum fuss with no fiddly bunching to create fullness. If that doesn’t waver you (pun intended), I don’t know what will! Which Tracks and poles work with a Wave™ heading? Wave™ headings can be used with various poles and tracks including electric, hand drawn and cord drawn. You could even use this heading in a ceiling recessed track; further accentuating the floating illusion of this fantastic heading style. 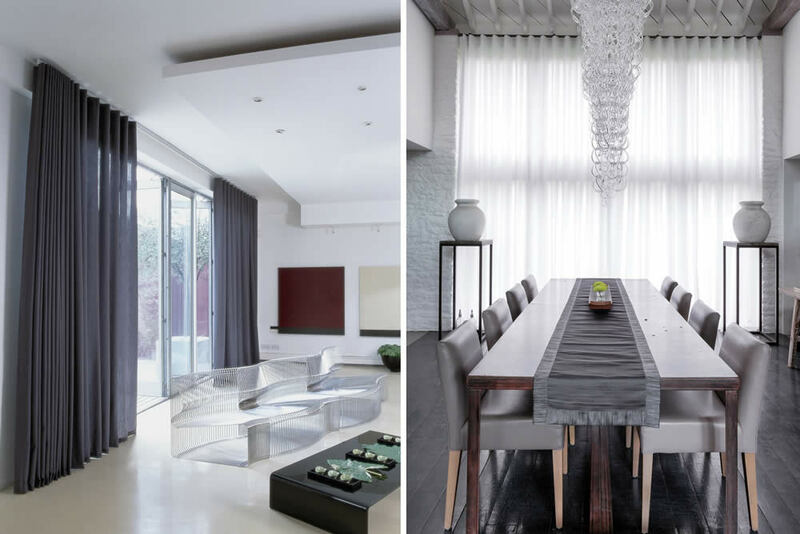 All Silent Gliss systems are tailored to your exact requirements, giving a high quality bespoke service for all window solutions. Bending can offer a bespoke look or aid tricky fittings in residential properties, bay windows are a prime example of this. Silent Gliss systems are your perfect solution, guaranteeing quality innovations you can trust. We are very lucky to have a dedicated Silent Gliss member right here in our Nottingham warehouse, with over 17 years of experience, cutting and bending silent Gliss products. We are always here if you need a little guidance or you’re looking to push the bending boundaries; don’t hesitate to get in contact with us, we enjoy finding solutions that make the impossible, possible. Bending is also great for contract jobs, allowing you to turn Wave™ curtains into room dividers and even offering hybrid Wave™ versions such as the wave XL with its larger waves for bigger drops and widths of windows and the snake Wave™; which sounds the same, and looks similar, but works differently – we will cover this curvy character in a separate blog soon. As mentioned above wave headings are most often used with sheer type fabrics, mainly because of the drape these materials offer, remember a soft drape is very important when choosing fabric for a wave heading. It is not recommended for use with stiff, heavily patterned or embroidered fabrics; however, don’t let that put you off. 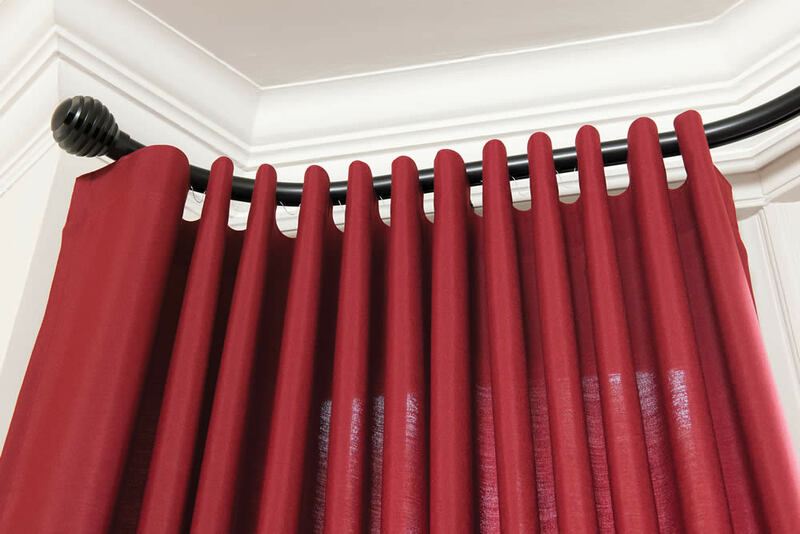 There are hundreds of lightweight fabrics out there and if you wish to make a more substantial curtain its worth considering using a flexible blackout lining to achieve this. Our Energy Reflecting Blackout is the perfect choice. 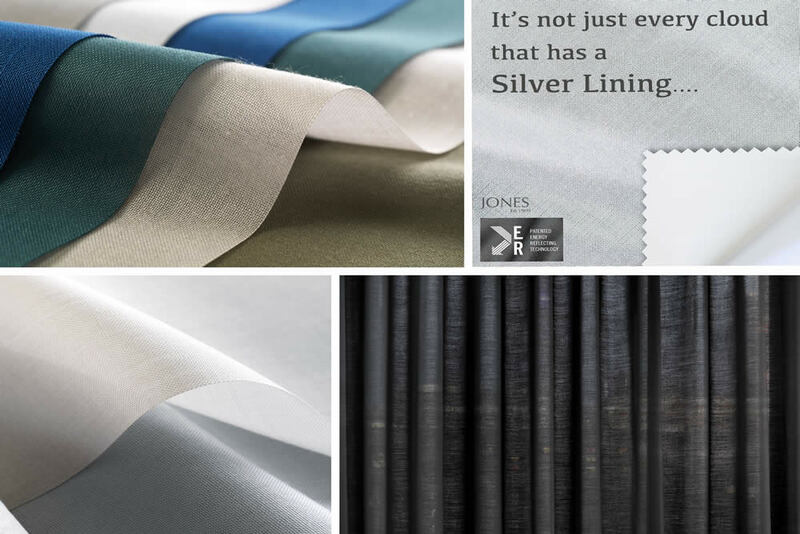 The energy reflecting technology of this silver backed lining offers up to ten times higher energy saving abilities, whilst remaining supple enough to offer a superb drape. Keeping you cool in the summer and warm in the winter, saving you energy, money and the planet – all at the same time! Silent Gliss have a simple way to test suitable fabrics in their brochure Making a Wave Guide along with a detailed rundown of all the above. So, have a look, give it a try and wave hello to your new favourite header style!